Looking for a new experience for Easter this year? 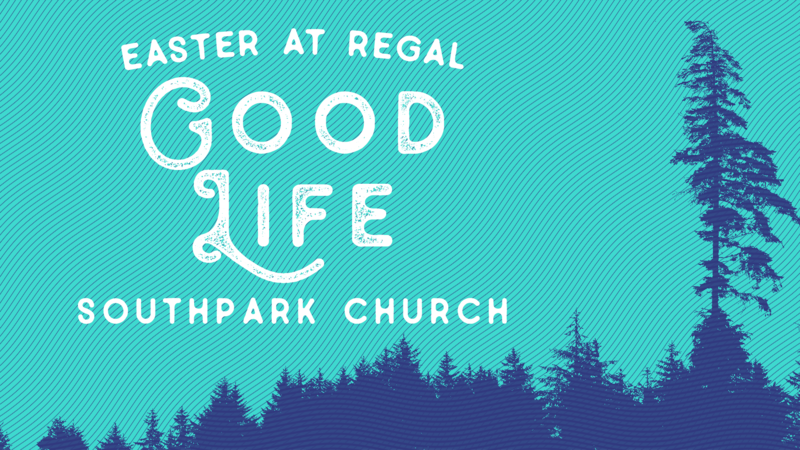 Join SouthPark Church at Regal Cinemas Phillips Place as we talk about how everyone can experience the good life because of Easter. SouthPark Church exists to help others live life to the full, and Easter Sunday will be a great chance to experience what that looks like. We offer two styles of worship and music, Traditional Worship at 9:00am or Modern Worship at 10:30am. There's no dress code, so come as you are. We offer a fun and casual environment for our children as well, you can read about it on our Explorers page. All are welcome! We can't wait to meet you. Want to learn more about what we believe? We try to keep things simple around here, so we have three values anchored in the biblical and theological truth that Jesus is Lord. This is our core belief: we make it all about Jesus. To help us live that out, our three values are transformation, relationships, and generosity. You can read more about our beliefs here.